Hey everyone and welcome to my new website! This is my home to connect directly with you and help business owners get to the next level. Starting out I found it a real struggle working alone and so now I am keen to create a community of entrepreneurs and business owners that want to enjoy what they do, to connect with each other and create businesses that match their vision. I hope you enjoy reading as much as I enjoy writing. Founder of Andy Brough and The Marketing Creative. 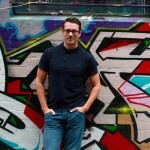 Andy is passionate about helping entrepreneurs to look their best online and connect with their audience. He consults with a broad range of business owners to take them from behind the scenes to standing out. Lovely website, one of the photos on the banners looks familiar :).